The Samsung Galaxy S10 is yet to launch, but Samsung Philippines already opened a pre-order page for the much-awaited Samsung Galaxy phone. To get first dibs on the upcoming flagship Galaxy device, go to Samsung’s Early Pre-order page. Click on get password and get your login credentials by providing your existing email and completing the captcha requirement. 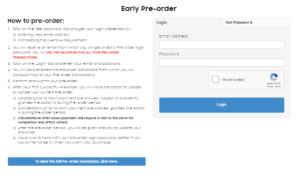 You will then get an Early Pre-order password, which you will use to login as well as to complete all pre-order transactions. Once you are in, you will need to complete a form for your personal and contact details. You can now proceed to pre-order your Galaxy S10 smartphone once you’ve completed the Customer Details sheet. Buyers can choose from the four models offered by Samsung. One of these models is the Limited Edition variant, which will come out on March 15, 2019. The company also lets you choose which exclusive gift you want to receive along with your device. There’s a Mystery Box worth P13,499 or a Store Voucher worth P7,000. That’s on top of the additional freebies of 10,000mAh power bank (P1,299), 30-day Nanofixit Screen Insurance (up to P10,000), and 10% Off Voucher on select Samsung Tablets or Wearables. 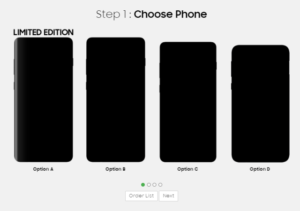 The last step is to select your pickup/payment point for your Samsung Galaxy S10 device. 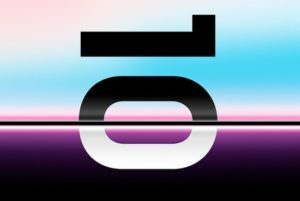 Early pre-orders for the Samsung Galaxy S10 is only until February 17, 2019. That’s three days ahead the supposed launch of the flagship phone at the Samsung Galaxy Unpacked on February 20. Note that you have to pay P2,000 within two days after you’ve placed your order to secure your smartphone.